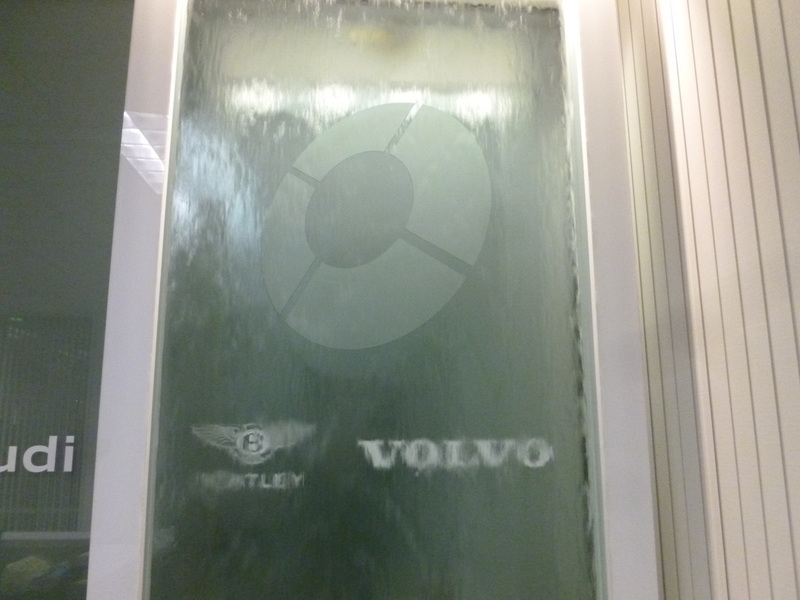 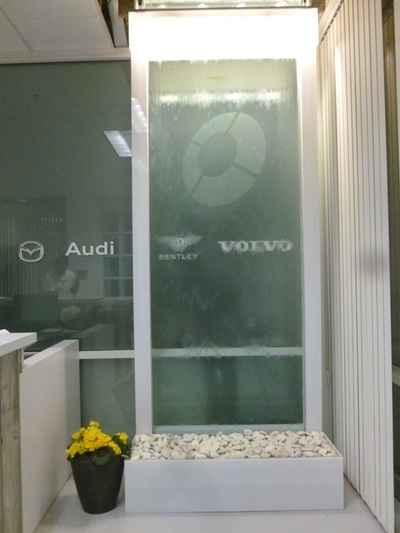 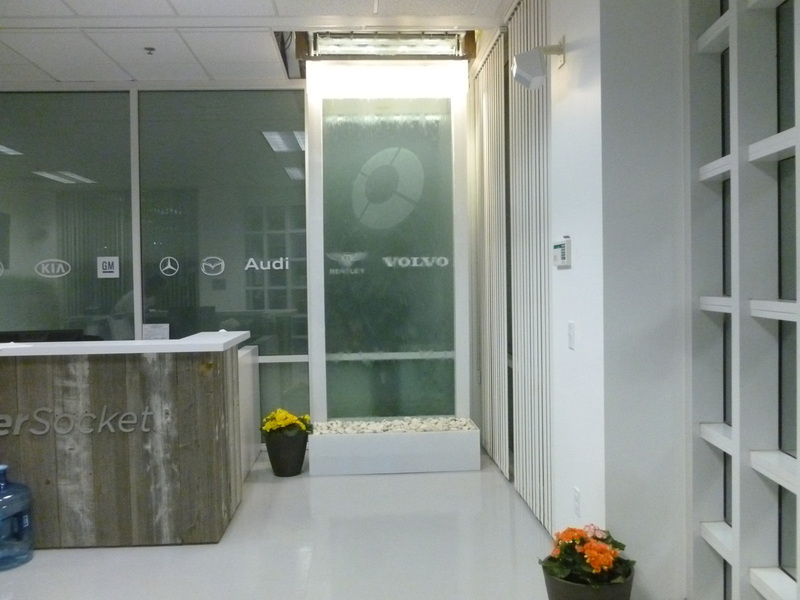 This lobby water feature sits next to the receptionist desk, it includes an etched logo. Per designer request, Nayer used white acrylic as the basin and frame, instead of copper or stainless steel. 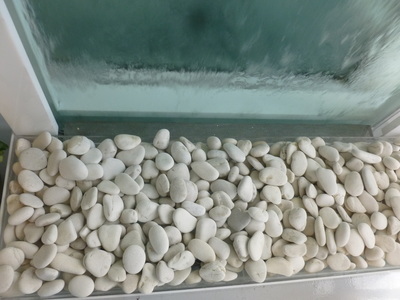 Adding the white rocks, the water feature has a clean, modern look.